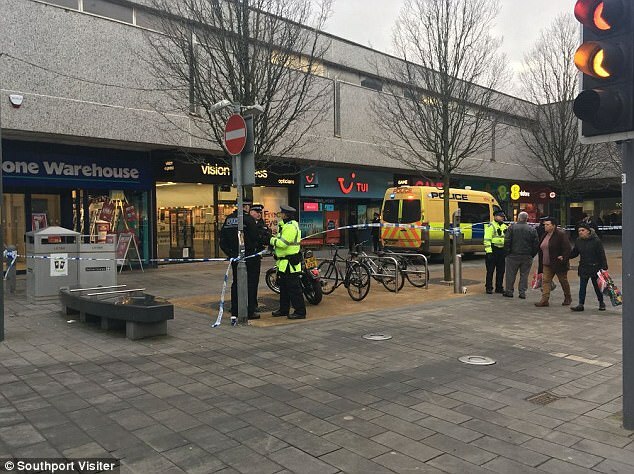 A woman has died after she was attacked at a travel agents' shop, where one witness claimed the staff member's 'throat had been slit'. 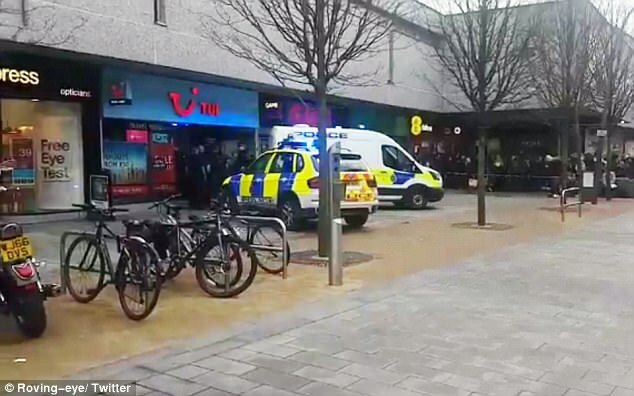 The victim was seen being carried out of the TUI branch covered in blood Chapel Street, Southport today, according to onlookers. The travel agent confirmed a female staff member was involved in an incident just before 1.30pm. 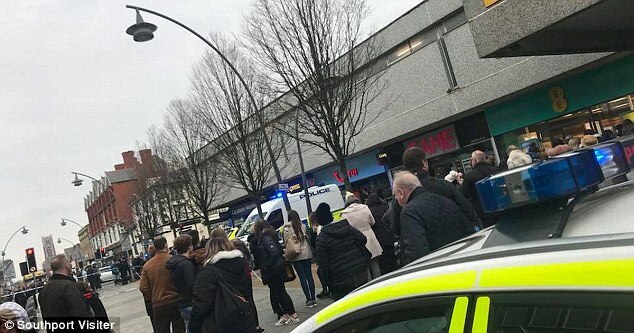 One eyewitness told the Mirror Online: 'I was walking past when they were rushing to get the woman into the ambulance. 'There was a lady from the travel agent shaking outside the shop, and lots of police around who had just arrived. 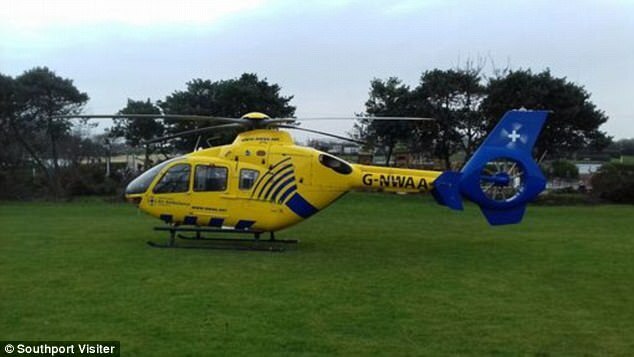 A large police cordon remains in place and two air ambulances landed nearby. Merseyside Police can confirm officers are currently at the scene of an incident in Southport. 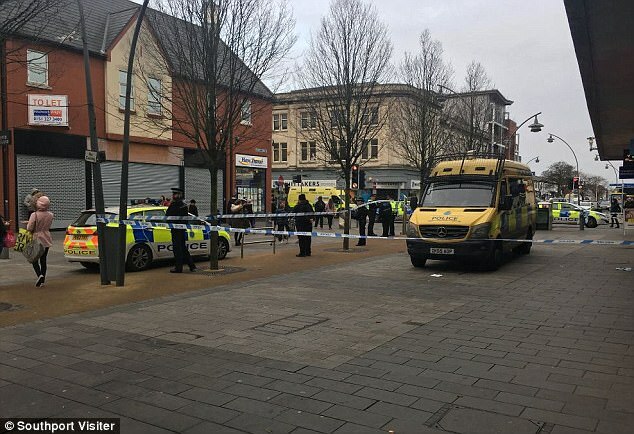 A spokesman said: 'Officers were contacted at 1.25pm today, Saturday 13th January, following reports of concern for a female at a shop on Chapel Street. 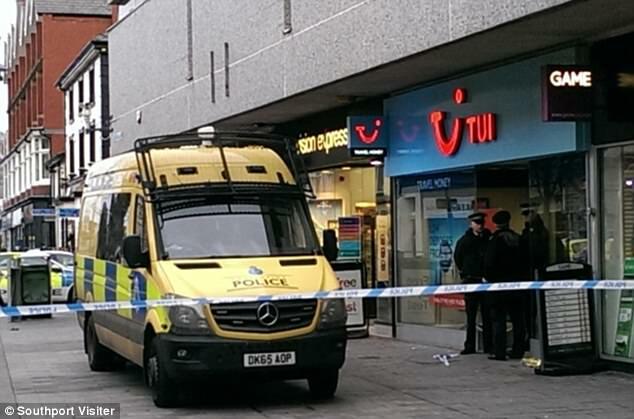 Photos taken at the scene show a police cordon covering a large section of Chapel Street, around TUI travel agents. 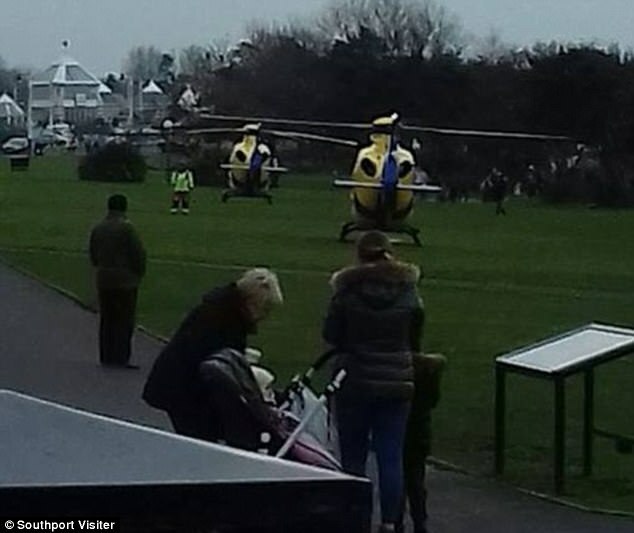 Two air ambulances have landed by Southport's Marine Lake, a short distance from the incident. Police presence seems to be focused near to Southport train station. Witness Luke Chandley said on Twitter: 'Mad stuff going down in Southport. About 10 police vehicles, one van backed in to Thompson's. An ambulance too. What a mad day. Huge crowds can be seen gathering around the cordon, which police have set up on one of the busiest shopping streets in the town centre. A spokeswoman from North West Ambulance Service confirmed they were called to Chapel Street at 1.27pm. The victim was taken to Southport Hospital.